RAPCO produces a quality line of FAA-PMA approved replacement brake parts for general aviation aircraft. 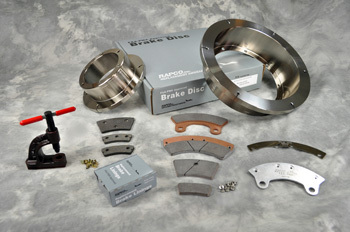 The product line includes brake discs, linings, rivets, mounting pins, pressure plates and shim-insulators used on Cleveland and McCauley brake assemblies. Corporate & Commuter Brakes - RFS, Inc.